And here we are. The end of the week, five bottles deep into the world of TATRATEA and all it has to offer. Well, all it has to offer, minus coconut. No matter on the coconut, however, as today we take a look at the big boy. The big muck-e-muck among the TATRATEAs. He’s loud. He’s boisterous. He’s that bar friend that will follow you out into the alley to help you with a fight, but then riffle through your pockets for loose change once you lose said bar fight. Today, we’re looking at the big Seven-Two. 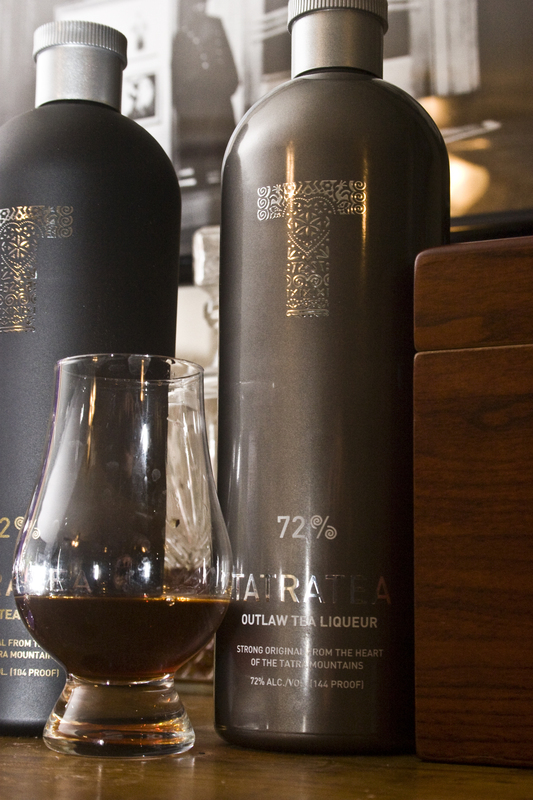 TATRATEA 72% Outlaw Tea Liqueur. Hoop lah, hot and peppery. Tea up front, then a powerful black pepper flavor and a heat across the tongue and mouth from the higher alcohol content. It’s definitely not so “In your face” as before, but that spice and pepper is still front and center. This is a powerful, demanding liqueur that’s going to dictate what you build around it. Truthfully, this is our favorite out of the five. We like its powerful kick and clean finish. Place the shot of TATRATEA in the bottom of a pint glass. 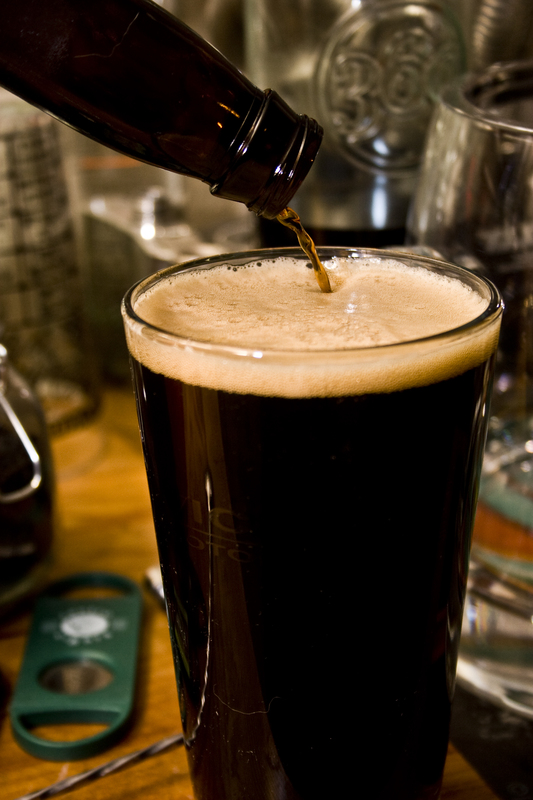 Poor the Killian’s Irish Stout over the top and serve.